With your kind assistance, I plan to publish a beautiful album of my favourite pictures from Spitalfields Life on October 17th. 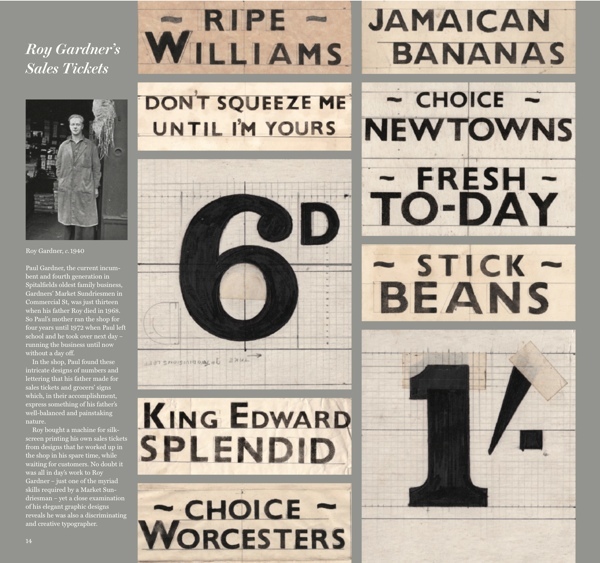 Already, David Pearson who designed my first book Spitalfields Life has been at work preparing these elegant sample pages of the album to give you a flavour of what to expect. Laying myself upon your goodwill, I am asking any of my readers who are willing – to invest a sum of no more and no less than £1000 each to fund the publication of The Gentle Author’s London Album. All those who wish to invest will be credited personally in the book and invited to bring a cheque along to a dinner hosted by yours truly later this month. In October, prior to publication, I will present you with an inscribed copy of the album and, six months later, your investment will be returned to you – unless you choose to offer it as a donation towards the publication of further titles by Spitalfields Life Books. 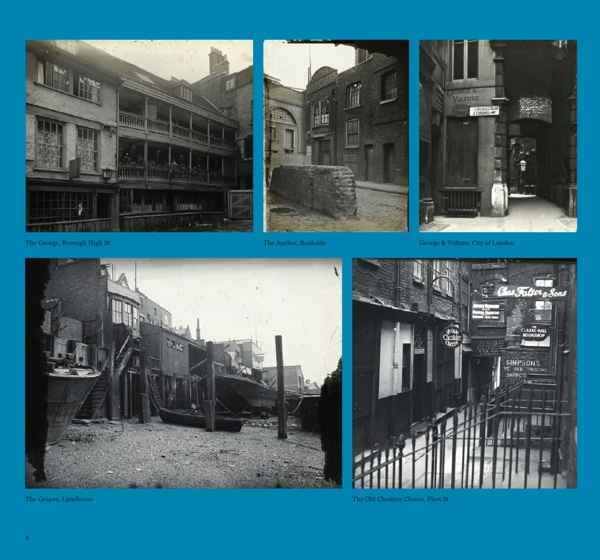 Whereas my book Spitalfields Life was a collection of stories about Spitalfields and the East End, The Gentle Author’s London Album is a picture book that gathers the most inspiring images I have discovered and widens its scope to include the entire capital. 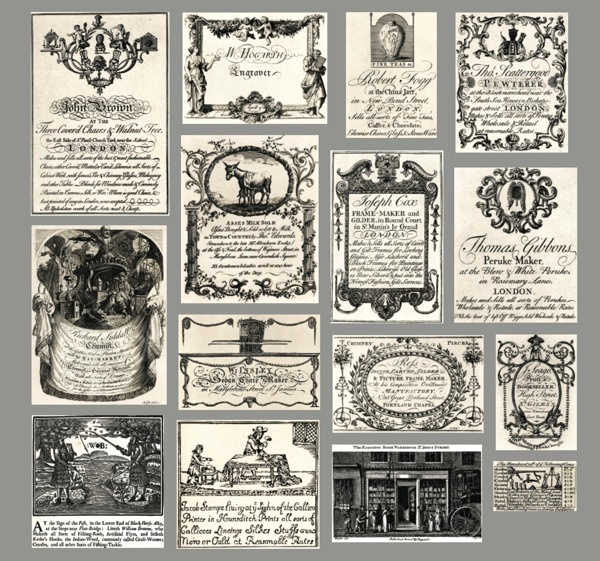 David Pearson and I have already drawn such delight from the wealth of possibilities available to us in selecting our favourites – and you may rely upon finding many of your best-loved picture stories from Spitalfields Life in the album. 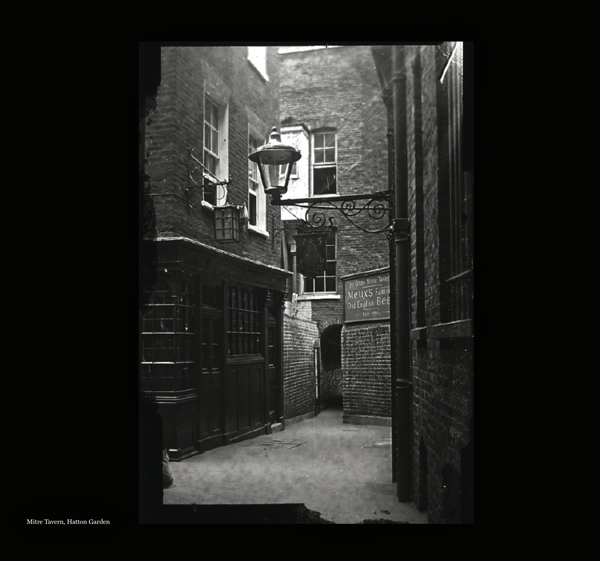 At the core of of the book, will be the first publication in print of the glass lantern slides of a century ago from the Bishopsgate Institute, originally produced for the London & Middlesex Archaeological Society, arranged in themes such as The Pubs of Old London and The Fogs & Smogs of Old London. 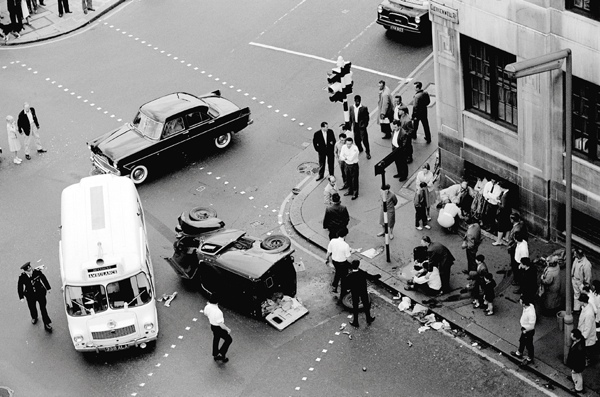 Yet, while you can guarantee a breathtaking array of unseen images of old London, there will be an equal number of contemporary photographs of the city today – reflecting the drama of life in our capital where new and old co-exist side by side. 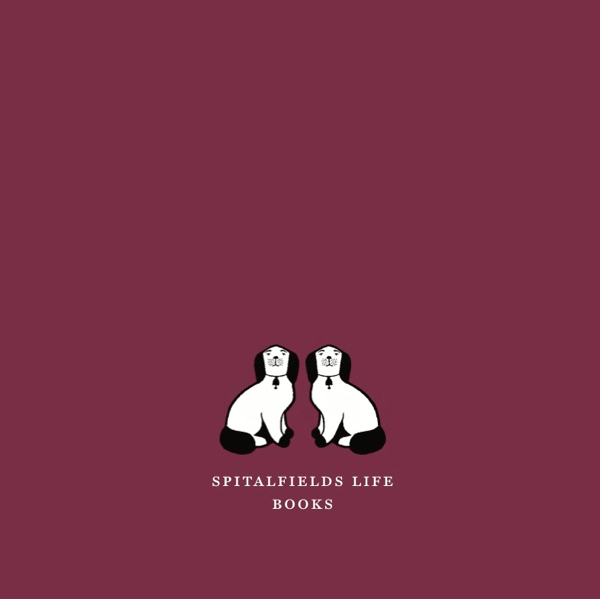 Following Colin O’Brien’s Travellers’ Children in London Fields which we launched this week, The Gentle Author’s London Album is the second title from Spitalfields Life Books -and Faber Factory Plus (part of Faber & Faber) will distribute it to bookshops nationwide in the autumn. 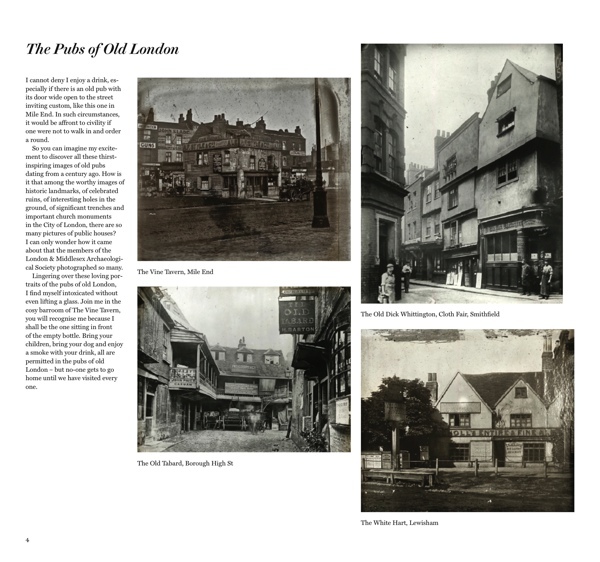 If you are willing to be an investor and help me publish The Gentle Author’s London Album, please drop me a line at Spitalfieldslife@gmail.com and I will be delighted to send you further details. 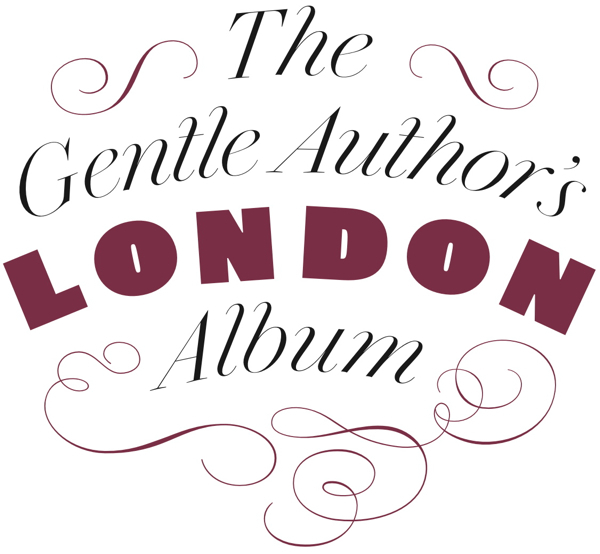 To invest in The Gentle Author’s London Album please write to me The Gentle Author at Spitalfieldslife@gmail.com and I will send you further details. What a great idea! I’ll certainly invest. Looking forward to the dinner, and my inscribed copy of the book – it looks a treat. What a great idea – unfortunately I don’t have a spare £1,000 at the moment. However, a copy of the book will be purchased for our Library and used by our first years on the London module. 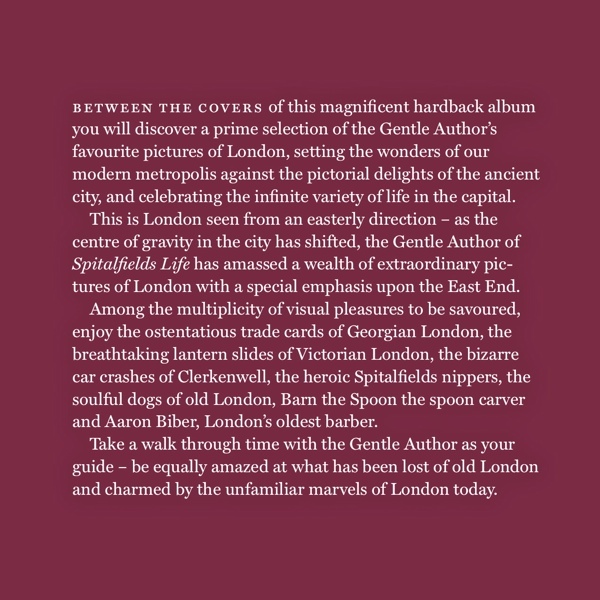 Can’t wait to buy a copy – it will be a wonderful record of London. Good to have a new photography book to look forward to in a near future – you can count on my investment. This sounds like a fantastic investment. What a good idea! Good luck. I want this book! ……. I am on a fixed income (low ! )and there must be many such as me who look forward to your daily writings but are stretched financially …. 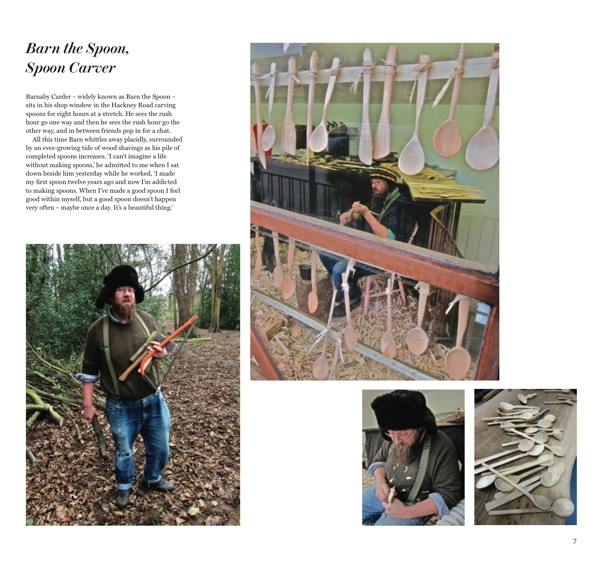 I would be so happy to give £20 towards the publication …. perhaps there are 49 other people who think likewise and that would be another £1,000 in the kitty ! ……. You can help me by pre-ordering a copy for delivery in October. 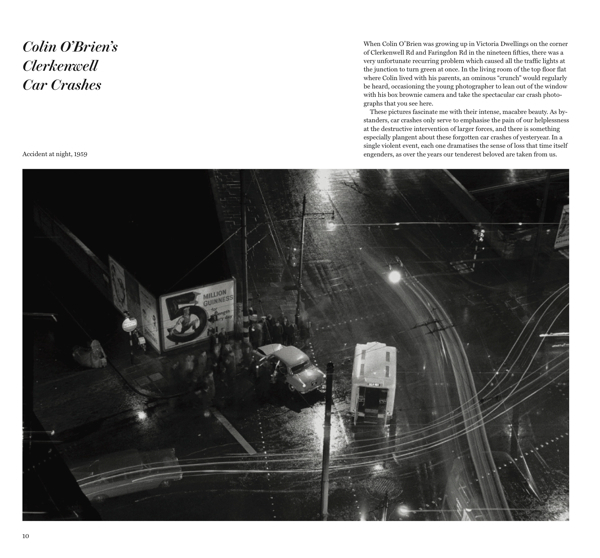 Having enjoyed the blog so much and seen Colin O’Brien’s excellent book you have my full support. Best wishes for your continued success. I feel sure that there are many followers of your blog (like Nina & myself) who would gladly stump up a lesser amount in order to assist with this and future projects. 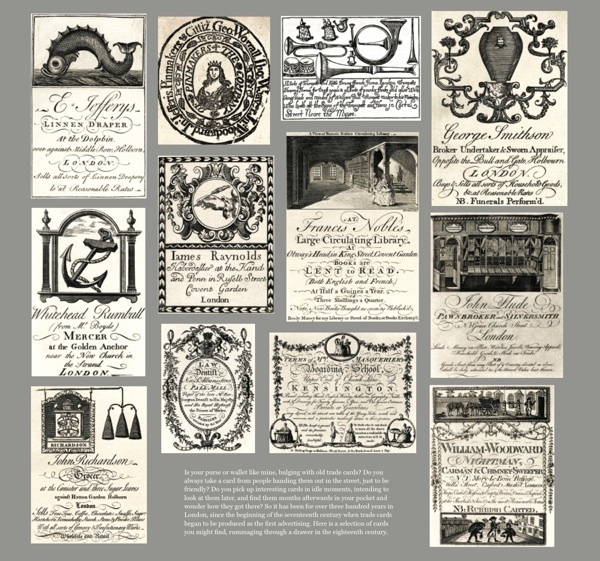 Simply from the hours of entertainment value that I have had personally from your writings etc., then I would gladly stump up £50 or £100 in exchange for the book with the proviso that after costs (Book & postage) that you retain the rest as a donation. Just an idea…. Good grief, what a wonderful site! I do hope the locals are grateful, it’s a lot of work, and it’s beautifully executed. I’m not from your manor, I’m from the Elephant, but it’s wonderful to see so much of your local past illuminated and brought to life for us all. 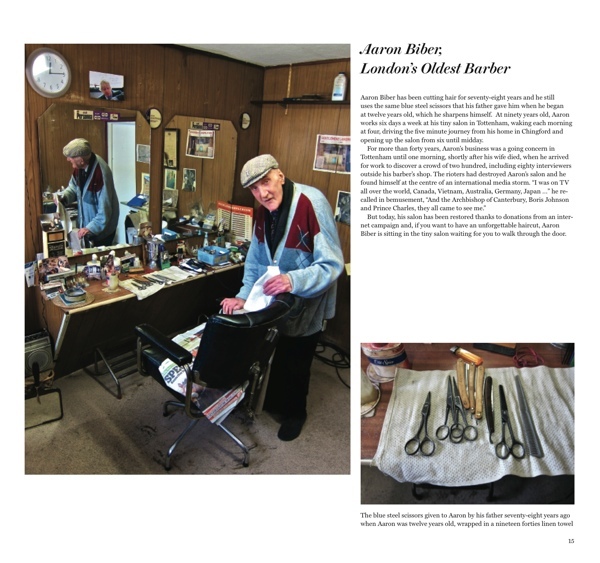 Your Spitalfields book has been an inspiration. As a pensioner I can not invest in the next, nor go on expensive holidays, but no need! Spitalfields has enough history and sights to inspire and excite and I have been back five times already, always discovering something new. Not only that, but I have taken to exploring London in quite a new way and it’s very exciting. I shall definitely order the new book from my library.